Abundant sunshine. High 83F. Winds NE at 5 to 10 mph..
Josh Parisi, 21, originally from North Port, prepares for the Atlanta course in March. It was his first chance to run the course — although he has worked as a “course tester” for two years for the show. The Atlanta episode is set to air in June. Ashley McConville, 19, practices climbing skills at a Ninja gym. 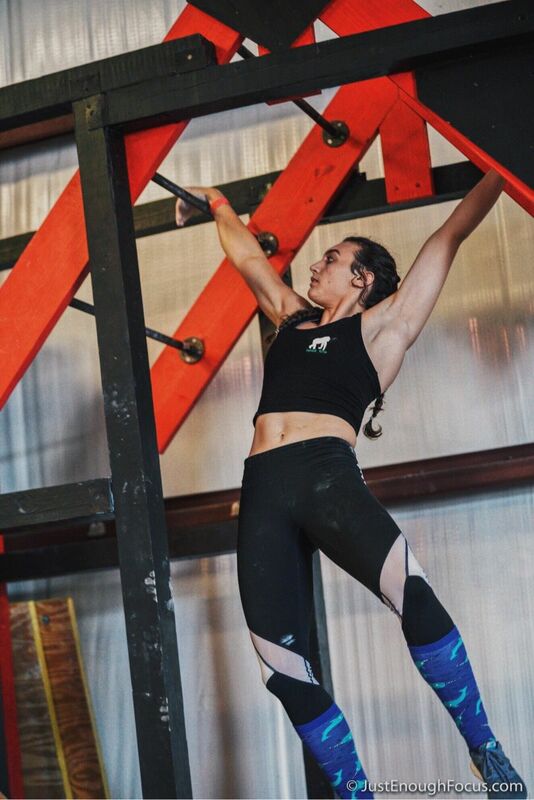 McConville recently competed on the “American Ninja Warrior” course in Atlanta. She hopes to inspire others with her work. Ashley McConville, 19, practices climbing skills at a Ninja gym. McConville, who had been in gymnastics starting when she was 6, competed on the “American Ninja Warrior” course in Atlanta in March. 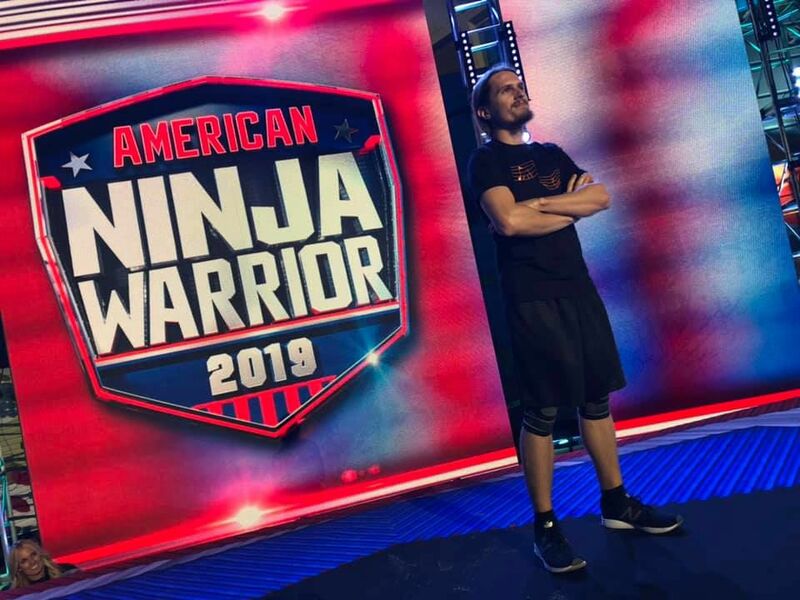 Friends and family traveled to Atlanta to watch North Port-native Josh Parisi run the “American Ninja Warrior” course. Parisi, 21, is a Florida Gulf Coast University student. North Port native Ashley McConville practices at a Ninja gym. She competed on the “American Ninja Warrior” course in Atlanta in March. The show airs in June. The NBC-based show will air in early to mid-June, depending on a few different factors. Josh Parisi, 21, and Ashley McConville, 19, can’t say how well they did or specifically what happened on their runs that took place while the show filmed in Atlanta between March 24-26, but both spoke about the excitement of the experience. “I had a great time,” Parisi said. That great time happened despite his run starting at 3:54 a.m. The filming starts as soon as the sun sets and ends at sunrise. With 100 athletes taking the stage, it goes all night long. Parisi is currently a music education major at Florida Gulf Coast University in Fort Myers. His attention to detail helps with training, he said, but those people who tend to do best with ninja competitions are involved in rock-climbing — which helps with grip strength, and gymnastics — which helps with body awareness, he said. McConville was very involved with gymnastics. She’d trained or competed in it since she was 6. While gymnastics was her life, “American Ninja Warrior” caught her attention when she was 14 and “knew it was something I wanted to do someday,” McConville said. She continued gymnastics but started participating in Ninja-related activities. She began connecting with Ninjas. Parisi also trains at LIVE occasionally while his work and hobbies also take place at Extreme Air Gymnastics in Fort Myers. The show lowered the age from 21 to 19 for people to compete, giving McConville the opportunity earlier than she thought. She began to turn toward her faith for guidance, participating in weekly Bible studies. “I started growing closer with God and made the decision to give my life to him, to start living for him each and everyday and start listening to his plan for my life instead of the plan that I was making for myself,” she said. Gymnastics competition seemed to be about being better than everyone else. In Ninja training, she found only encouragement. Parisi celebrates the community as well, saying he loved reconnecting with people — and connecting with the audience — as his run began. “I had a blast. It was a lot of fun...even on the starting line, I had a lot of fun getting the crowd into it,” he said. He couldn’t get into the specifics of his run because of disclosure rules — but he indicates it felt a bit surreal to him. For him, the patience learned in his music expertise helped him with Ninja he said. For people who haven’t trained in rock-climbing, gymnastics or parkour — a type of obstacle course sport — it’s about being comfortable with repetition. Ninja is a less forgiving on the course. McConnville began training with Bergstrom’s children, Caleb and Caitlyn Bergstrom. Her background in gymnastics gave McConville a head start. “I came into Ninja being able to do obstacles and moves that took some Ninjas years to perfect. I started placing first against athletes who had been seasoned veterans on the show,” she said. She said it wasn’t just gymnastics. She dedicated the past year to “strict training” for ninja competition. But with the help of her new Ninja friends she is striving to overcome these obstacles. This season of American Ninja Warrior begins airing Wednesday, May 29. The two-hour shows run from 8-10 p.m. on NBC. If the show keeps to its tradition trajectory of regions, the Southeast is the first one that airs — which would be Monday, June 10. But that has not been confirmed. There is no telling if their runs will air in part, in full or at all. With 100 people selected to run and two hours of edited footage, they may not know until the show airs. Parisi said he doesn’t have a Ninja nickname, saying sometimes it becomes almost a tattoo for people and wanting to make sure if he selects one, it’s a good one. “I want to inspire people with my athletic abilities, but I also want to be able to inspire people with my character,” she said. For Parisi, he said he has been calm about it from the time he received the call that he’d been selected. He said he’s loved it all. “It’s all just feels like a playground for me,” he said. For McConville, she’s appreciated meeting new friends and appreciating her family that has inspired her, including her uncle, David, for whom she dedicated her submission video. She said she is inspired by him and by her new friends in the world of Ninja. She’s hoping to be able to be a spark for other girls and women interested in the sport. Her advice to anyone looking into Ninja is to just do it. “The thing that’s cool about Ninja is that everyone comes from such different backgrounds. And everyone has their strengths and weaknesses,” she said.